Robert Ashton is in for the surprise of a lifetime. His mother, a bit of a rebel, raised him away from the rest of the family, and it’s not until he’s contacted by his lawyer about an inheritance that he learns who he truly is: the new Earl of Hantford. His legacy includes ownership of the historic Ashton Park Estate—which needs repairs Robert cannot afford. He’ll simply do what the nobility has done for centuries when in need of money. He’ll marry it. Tech wizard Daniel Fabian is wealthy and successful. In fact, he has almost everything—except a title to make him worthy in the eyes of the old-money snobs he went to prep school with. His high school reunion is looming, and he’s determined to attend it as a member of the aristocracy. That’s where Robert comes in. Daniel has the money, Robert has the name, and both of them know they can help each other out. But their marriage of convenience has the potential to become a real love match—unless a threat to Daniel’s business ruins everything. When Robert Ashton's uncles dies. Robert is in for a surprise when the will is read and he learns that he's the Earl of Hantford and that title comes with a couple of money pits. The family estate Ashton Park and a place in London which he quickly decides he'll probably sell but Ashton Park has been in his family for generations and it would break his mother's heart to see it sold and Robert's not sure selling Ashton Park is something that it's in his heart to do. But the problem is he doesn't have the money for the much needed repairs. However, Robert's thinks she has the perfect solution...she's sure that Robert just needs to marry someone with the much needed money. Putting her plan for her son to marry someone with money into action. Robert's mom signs him up for a matchmaker service and before Robert knows it he's meeting Tech Wizard Daniel Fabian for dinner while on a business trip to New York. Danial has his own reasons for using a matchmaker and what he's looking for someone with a title so that when he goes to his high school reunion filled with old money snobs he can show up as a member of the aristocracy. While Robert and Daniel ultimately ended up enjoying their first date in spite of it's awkward start and it did lead to arrangements for a second date. Thankfully it wasn't a case of insta-love. Overall I enjoyed the story and I liked that while it wasn't long before Daniel and Robert found themselves falling for each other it wasn't insta-love and they did take time to get to know each other. While neither of them confessed to their reasons for using the matchmaker service it was shared fairly early in the relationship so there wasn't any unnecessary miscommunication issues. While there was the occasional bit of over the top sweetness it wasn't in excessive amounts and overall it didn't detract from the story for me. Robert Nieman was the narrator for this audiobook and while I really loved his narration for the previous audiobook that I listened to by him. This one wasn't working as well for me but I can't really say that has as much to do with the narrator as it does with the fact that while I liked this story I didn't fall over the moon in love with it. The only thing that bothered me that is directly related to the narration was the fact that while Robert was suppose to be British he really didn't have a British accent nor did his mother or any of the other secondary characters who were suppose to be British. The voices were distinct just not British. 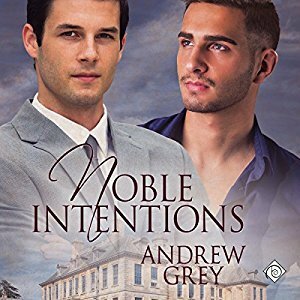 'Noble Intentions' was a sweet standalone story about two men looking for solutions to the problems in their lives and what they find is that sometimes the answers to our problems come wrapped in love even when we aren't looking for it. 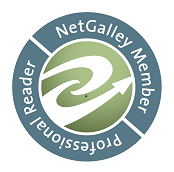 An audiobook of 'Noble Intentions' was graciously provided by the publisher in exchange for an honest review.